Description: Wow! 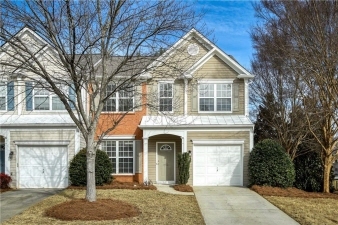 Updated, spotless, Fee Simple End Unit Townhome in heart of Roswell. Everything is NEW! Starting with interior and exterior paint, New SMOOTH CEILINGS, Gorgeous Wood floors on main, stairway & 2nd level Foyer. New Quartz counters and stainless steel appliances in White Kitchen. New Light fixtures throughout home. 2 Story Family room opens to Dining Rm. Kitchen open to Fireside Den. Main Level Laundry. 3 upper level Bedrooms have new carpet, new flooring & light fixtures in baths! Nothing left to do - just move in. Low fees, prime location, Milton High School! The above information is deemed to be accurate, but not warranted. It is subject to errors, prior sale, or withdrawal without further notice. Listing Broker represents the Seller in an Exclusive Right to Sell.